You may have heard would-be body culturists say, "Aw gee, how can I train? There is no gymnasium around here, and any way if there was, I couldn't afford it." Actually, hundreds of young men have presented this problem to me, hoping that I would be able to solve the little difficulty for them. It is quite natural for any person to consider exercise and a gymnasium at the same time. As I have said at different times, it depends on what you are after. If it is games or calisthenics, all right. By all means become a member of a gymnastic class. They will certainly teach you to become good at the game you prefer, and this will help to keep you healthy and fit at the same time. Calisthenics will freshen you up and keep you normally fit, but if it is your whole body you want to build up to a stage of perfection, then it is an entirely different proposition. Of course, there are exercise rooms in all gymnasiums to which you can go and seclude yourself, but they do not always have the proper apparatus at hand for the body culturist to use. Of course, there is always the congeniality of companionship, but I have found that this is often very embarrassing, especially to the man who is under developed or too fat. There is always somebody willing to pass remarks, which even when made in fun, go a long way to diminish enthusiasm. Often a man is too conscious of his condition, and what he requires is encouragement, not to made the object of fun no matter how good natured it may be. This may give you the idea that do not approve of gymnasiums. On the contrary, I do approve of them, but if you want to do any body building, do it at home. 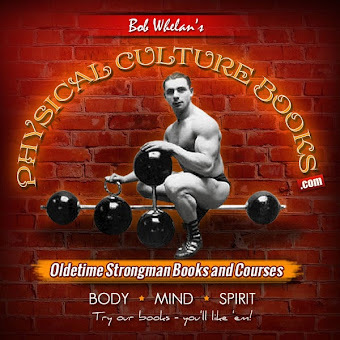 Of course, if you know an instructor who has an unusual interest in his clients and understands progressive body building, then that is different. He will be a great help if you can afford to pay for his services. Unfortunately many cannot. Others live in the country, or do not have the time at their disposal. There is nothing in the world that can overcome these little difficulties like home training. As long as you have space in your bedroom to spread your arms level with your shoulders, and stretch out to arms' length overhead, you have all the room necessary to train. 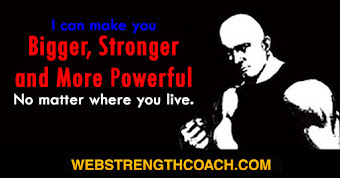 Three or four nights a week training just before you retire will fix you up, and if you have more time to spare, you can devote some of it at the gym to your favorite game, be it boxing, wrestling, or handball; but if you are deeply interested in building up your body to its finest state of perfection you will be apt to give more time to your training than just three or four periods a week. Home is more convenient, and there you have no one to bother you. If you can get another friend to train with you that will be fine, but more than one only detracts the others from their training, as conversation is bound to waste the precious minutes. First, what a body builder or health seeker wants, is an outfit hat will give him the best results. I can honestly say that there is nothing that can equal a bar bell outfit. All that is required is a set of graded plates of iron that will enable the home exerciser to increase his poundage as he improves in size and strength, with a handle bar about five feet long, dumb-bell handles, and kettle-weight handles -- then he is all set to go. These sets can be bought to suit the purse of the individual. If a person wants to build up in size and strength enough to make his appearance a little better than the average, and yet feel vigorously fit, and outfit weighing from one hundred to two hundred pounds is enough. 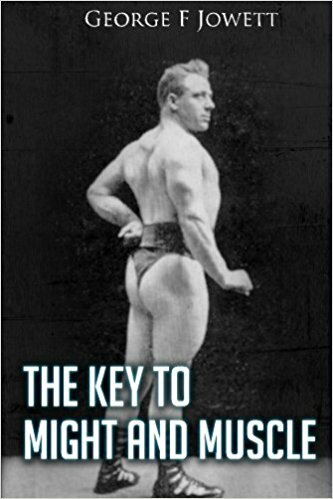 If it is great strength and muscular proportions that he desires, then he will require a heavier set. The next step is to be sure to obtain the best instructions from a teacher in whom you feel that you have faith. When you have these all these together and settled, you will be surprised to find how this will convert your room into a gymnasium of your own. As I look back over the years, my mind dwells fondly upon the little bedroom that has long been treasured in my memory. Within those four walls I spent many hours struggling for a better body. It was right there that I fought my battles and won by victories. No matter how hopeless some things many have appeared during those days, I always saw the turn at the end of the road. How I loved those days. 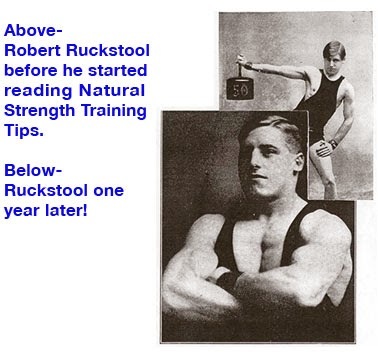 My parents took great pride in my healthy body and unusual strength, but they began to think I was too enthusiastic when I began to tow in weights. Oh, no, my dear friend, we were not so lucky then as to have all the convenient plate loading belts that you have today. 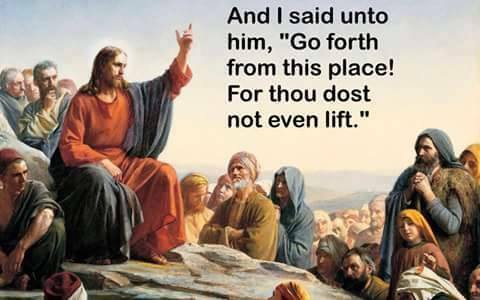 They were all solid weights, or lumps of iron, and they were terribly expensive. Anyhow, my mother thought to scare me out of the idea, and told me I would have to go up in the attic and live. Well, I went up to the attic all right and carried all my stuff with me. Mother would shake her head and dad would grin. 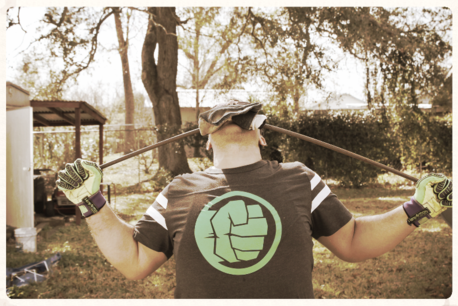 I first got a pair of dumb-bells, then a heavy iron part of an old axle, a block weight, and a ninety pound dumb-bell. I used the latter for a bar bell as well as a dumb-bell by catching hold of the outside on the big nuts and pushing it overhead with both hands. I pinned my exercises on the wall and started out. Bit by bit I accumulated my outfits, and a proud boy was I when I surveyed my first plate loading bar bell. Pictures began to appear upon the bare walls in neat formation, and on the winter nights I gazed upon my ideals and inspirations and plugged away. Bare floors meant nothing to me and , oh yes, I had a big cracked mirror too. I slept on a little camp cot, where I dreamed of my ambitions all night. I kept the place clean myself, and in later years mother would show her friends my little sanctum with pride. I accumulated a little physical culture library, and gradually decorated my room with my outfits, photos, diplomas, medals and other trophies. For years, after I left home, they kept the room just as I had kept it. No one else was allowed to occupy it. Perhaps the saddest part of it was that my wanderings took me so far away that I never returned to my boyhood home and its treasured memories. For in the meantime death had intervened and broke up my parental home. Still, you see others viewed it as a sacred spot besides myself. I attended gym classes and played all outdoor sports, but it was the environment I was able to build within the four walls of my bedroom that enabled me to concentrate on my exercise training in such a manner as would be impossible elsewhere. It laid the foundation of my athletic success. A little while ago I received a long letter from one of my old chums who had often taken a work-out with me up in my little bedroom. We had not met for about twenty years. He was a little older than I and went out to Australia. He still is an exercise bug. How I would like you to read his letter. He longed for the old days, as we all do, but he remembers best the many happy hours we spent together building ourselves into efficient manhood in that little attic. 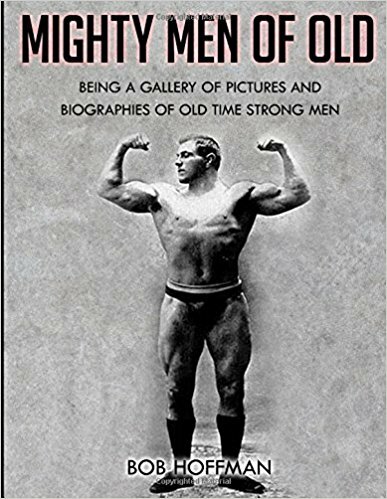 Proudly he reminded me that the very best specimen of manhood were all home exercise fans, men who did not require elaborate gymnasiums. It is true. 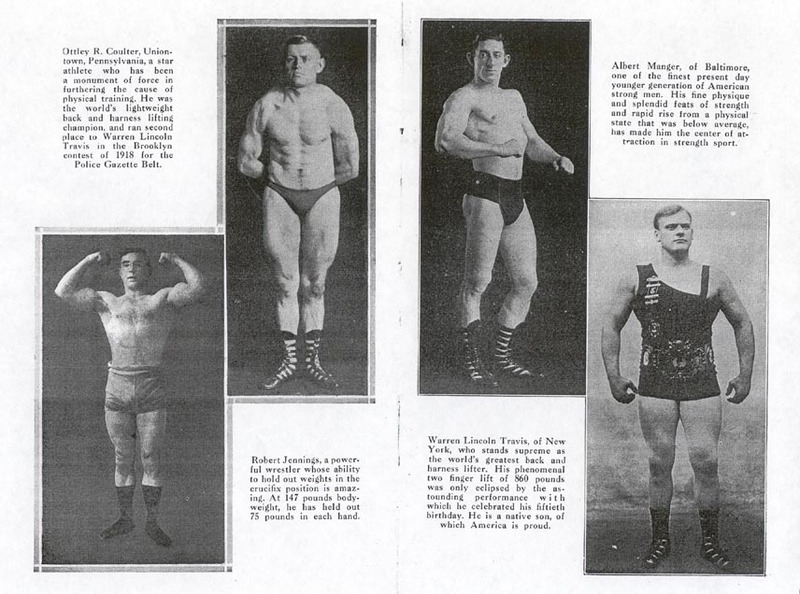 Sandow, Maxick, Pullum, MacMahon, Berry, Coulter, Manger, Matysek, Willoughby, Snyder, Klein and a host of others got the foundation and the subsequent results of their marvelous physiques within their bedroom chamber. You can't beat it. Thirty minutes intensive exercise, a good rub down, and then jump into bed and you will sleep like a rock, waking up with the life coursing through your veins that will make you fit for any emergency. If you want a forty-four inch chest, a sixteen and a half inch biceps, twenty-five inch thigh, or a sixteen inch calf, don't overlook the value of your own home. It is more economical and result producing, and then you are at home. When winter comes, don't be afraid of a little cold atmosphere; it will do you good and help you to pep up. Nowadays, home training has become recognized by the majority of people as the way to get the very best results in body building. Nowhere else can individual instructions be given to as good an advantage, for every prospective body builder must recognize the fact that no material results can be obtained unless the exercises are laid out to suit the physical requirements of the individual. What suits one person does not suit another, which is one reason why mass drill is only a body toner and not a body builder. 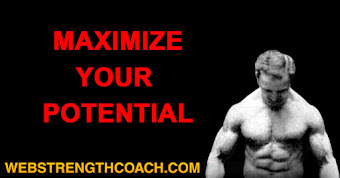 Intensive training only, will produce muscular growth and proportionate strength. This method of training requires the knowledge of one who is fully acquainted with the body, and its peculiarities in muscular growth in order to secure the best results for the pupil. 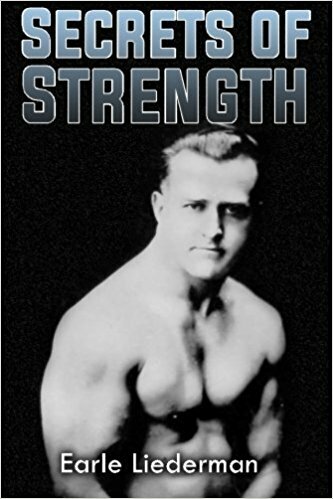 In this book I have tried to explain everything about the muscles and their operations, as well as the why's and wherefore's of exercise, how it should be done and what points to most carefully consider. In this way it is possible for every one to map out a course for himself to suit himself, which is bound to give him the very best results in his home training.